1. Make a moving plan and calculate the budget. 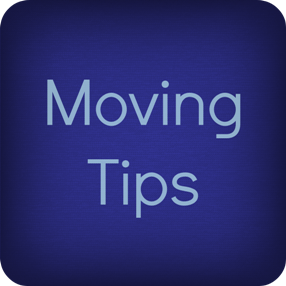 Make a list of works in order not to forget something necessary in the day of the move and to calculate the approximate cost of the scheduled event. Compare the prices for New York moving services offered by different shipping, moving and storage companies to make sure that Fine Art Shippers is the best possible choice! 2. Sort the things out and get rid of those that you do not need or do not use. Donate them to charity, take to the consignment shop, hand over the waste paper, and just throw away useless items. Then you will not have to pay for the transportation of unnecessary objects. 3. Decide what kind of things you want to pack on your own (if you plan to do so). Use the boxes of the correct size and durability, for example, special boxes for framed fine art works and mirrors. Remember that items can be damaged during the transportation in the flimsy or partially empty boxes. Please, consult about packaging materials, as well as about the complete information on the methods of packing and crating, or better use the professional services. 4. You can pack books, clothing, bedding, shoes, and so on by yourself. Once again, don’t forget about special boxes like wardrobe boxes for expensive suits and coats. Pack according to the rooms and facilities. If necessary, use the bubble wrap and other packaging means. However, packing of the fragile items, such as utensils, souvenirs, paintings, and electronic equipment, is better to entrust to the professional moving company. 5. Inform the moving company of your exact address and give the necessary instructions in advance. Mark each box with the label. It should contain the information about the content of the box. Stick the label on the side or top of the box. On the basis of labeling, the moving company will bring the items to the certain room according to the plan. This will speed up the process of moving and unpacking. 6. Organize the childminding, if necessary. Make a backup of all the files on your hard drive. And finally, check the furniture and boxes as soon as they arrive at your new home. 7. Contact Fine Art Shippers for any questions. Our professional and reliable moving company will help you to plan the move and give the advice on the best organization of transportation. We will be happy to provide services of any complexity, including piano and grands moving, furniture shipping, international art shipping, art collection storage, and many others. Moreover, our prices are always affordable!